During World War II, U.S. Marines moved from island to island, famously fighting bloody battles against entrenched Japanese forces determined to dominate the Pacific. Now, as a potential conflict with China looms, the Marine Corps is dusting off this island-hopping strategy. 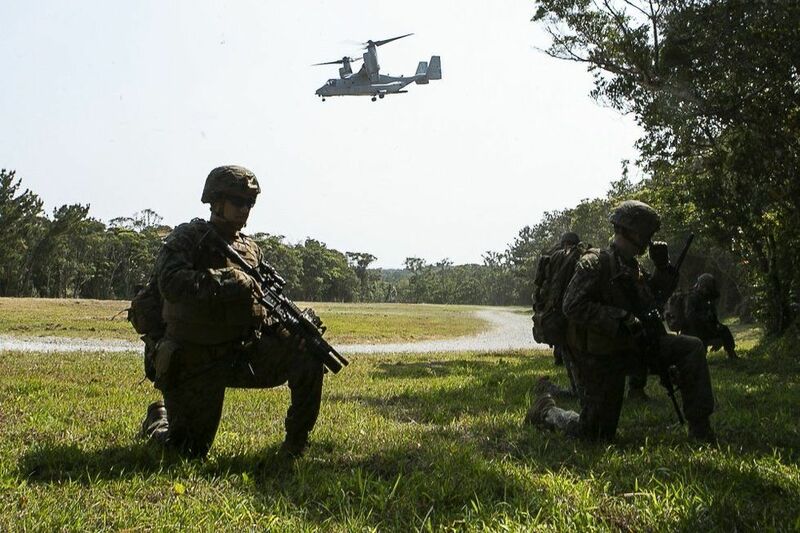 Last week, U.S. Marines from the 31st Marine Expeditionary Unit led a series of simulated small island assaults in Japan, the Corps announced Thursday. 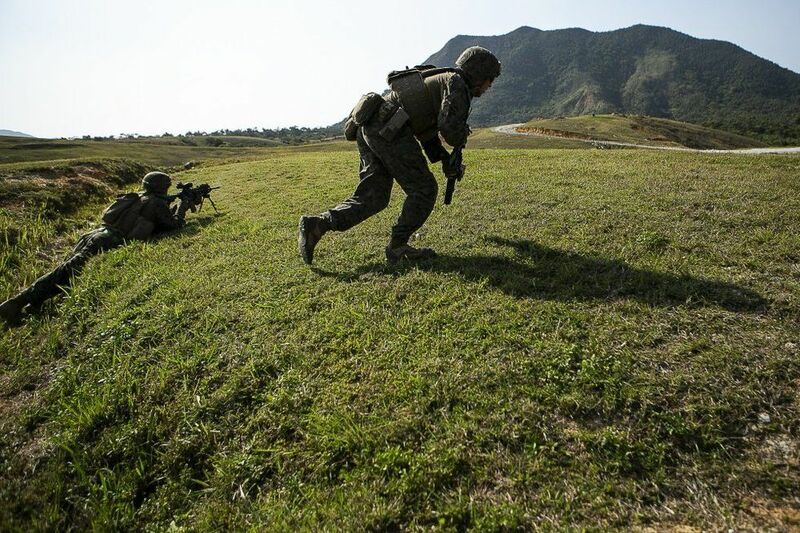 The 31st MEU, supported by elements of the 3rd Marine Division, 3rd Marine Logistics Group and 1st Marine Aircraft Wing, members of the Air Force 353rd Special Operations Group, and Army soldiers with 1st Battalion, 1st Special Forces Group, practiced seizing Ie Shima Island. After the Marines seized the island's airfield, U.S. troops quickly established a Forward Arming and Refueling Point. Additional force assets, such as Marine Corps F-35B Lightning II Joint Strike Fighters and C-130J Super Hercules transport aircraft, then moved in to deliver extra firepower. Rocket artillery units brought in aboard the C-130Js carried out simulated long-range precision fire missions while the stealth fighters conducted expeditionary strikes with precision guided munitions. 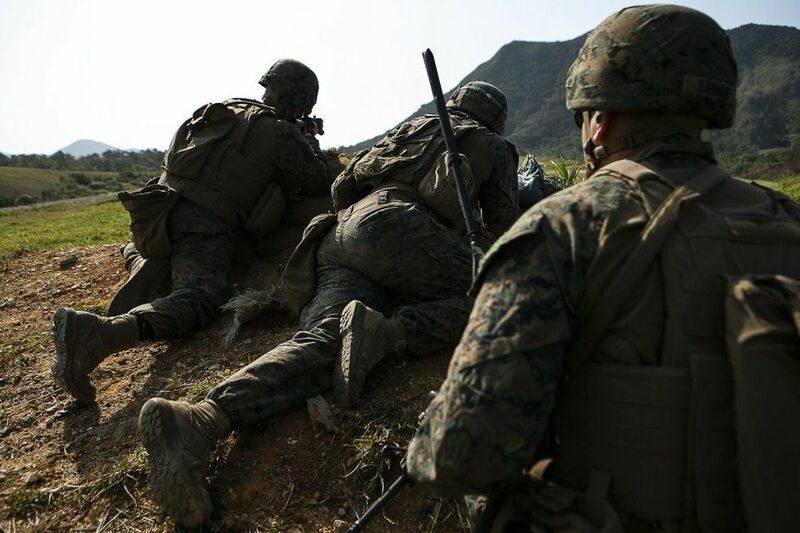 "This entire mission profile simulated the process of securing advanced footholds for follow-on forces to conduct further military operations, with rapid redeployment," the Corps said in a statement. The exercise was part of the Corps' ongoing efforts to refine the Expeditionary Advanced Base Operations concept, which is the modern version of the WWII-era island-hopping strategy. As the National Defense Strategy makes clear, the U.S. military is facing greater challenges from near-peer threats in an age of renewed great power competition with rival powers. In the Pacific, China is establishing military outposts on occupied islands in the South China Sea while pursuing power projection capabilities designed to extend its reach beyond the first island chain. With the U.S. and Chinese militaries operating in close proximity, often with conflicting objectives, there have been confrontations. A close U.S. ally recently expressed concern that the two powers might one day find themselves in a shooting war in the South China Sea. 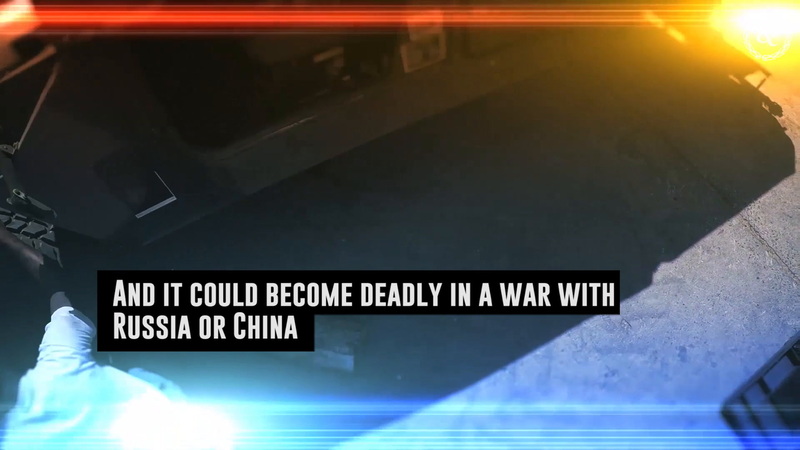 "We continue to seek areas to cooperate with China where we can, but where we can't we're prepared to certainly protect both U.S. and allied interest in the region," Director of the Joint Staff Lt. Gen. Kenneth McKenzie said at the Pentagon last May. "The United States military has had a lot of experience in the Western Pacific taking down small islands," he said when asked if the U.S. has the ability to "blow apart" China's outposts in the South China Sea. "We had a lot of experience in the Second World War taking down small islands that are isolated, so that's a core competency of the U.S. military that we've done before." It's just a "historical fact," he explained. The U.S. Navy broke with its tradition of hyping up F-35 deployments by sending of the USS Essex jump-jet carrier into the Western Pacific with a deck full of the revolutionary fighter jets — and it could signal a big change in how the U.S. deals with its toughest adversaries.